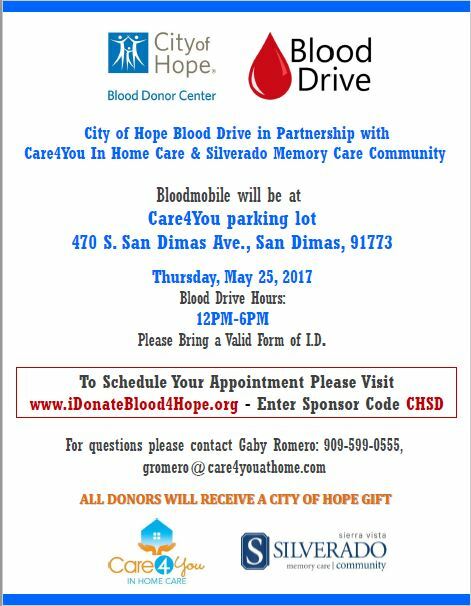 It is our pleasure at Care4You, to have San Dimas Community Hospital as our Community Partner! Thank you to everyone at this fine hospital for your service to the community!! “San Dimas Community Hospital (SDCH) is located on the east end of the San Gabriel Valley, one mile off the 210, 57, and 10 freeways, in the city of San Dimas, with a population of 35,000. San Dimas is a small, caring, cohesive community reaching from Puddingstone Lake in Bonelli Park on the south to the Foothills on the north. The hospital’s 13-acre campus consists of the 101-bed general acute care facility and two identical Medical Office Buildings. San Dimas Community Hospital draws the majority of its patients from its own town as well as the surrounding communities of Glendora, La Verne, Covina, West Covina, Azusa, Walnut, Diamond Bar, Pomona and Claremont. San Dimas Community Hospital is situated in a heavily penetrated managed care environment. “There seems tobe a day when never we don’t hear about, or someone doesn’t experience, a scam or fraud in one way or another. From the young to the elderly, these crimes can have a devastating affect on all of us! Care4You is very proud to have Karen E. Zubiate-Beauchamp as our Professional in the Spotlight! Thank you Karen for everything you do on behalf of your clients! “In California, the term elder abuse refers to a broad range of wrongs committed against citizens aged 65 years or older. Elder abuse can be in the form of physical, financial and, in some cases, sexual mistreatment of elderly persons. The law in California recognizes person 65 years and over as a protected class and, much like those governing the treatment of children, adds extra penalties and rights of recovery against those who take advantage of elder citizens. With the current population having longer life expectancies than prior generations, elder abuse is on the rise and the financial losses from elder abuse in this country in one year were in the billions of dollars. As a civil attorney, the type of elder abuse I see most often is financial elder abuse, which I have come to realize can take many forms. While the abuse more often comes from those related to or caring for the elderly person, I have also encountered situations where solicitors and salesman have taken advantage of a person that they knew to be age 65 and over and influenced that person to sign contracts, pay money and provide access to their homes. Financial elder abuse is more common when elderly persons have amassed significant wealth, but I have also seen persons with little net worth be taken advantage of by their own spouses and children in order to persuade them to give up legal rights. In the case of financial elder abuse, fraud often plays a significant role. Unfortunately, some family members, friends, and others are willing to misrepresent facts, lie about the meaning of a legal document, or obtain signatures on documents they have not explained in order to gain access to real property, bank accounts, investment accounts, credit cards, and other assets held by persons the age of 65 or older. In addition, I have personally had clients that were isolated by family or caregivers, lied to and told that no one wants them and they will not receive care unless they agree to do certain things. I have also encountered family members and friends who hid mail, change the mailing addresses for elder family members without their consent, and remove items from households without knowledge of the elderly person. These are all sadly ways through which people gain access to personal and financial information of elderly persons. If you suspect that an elder is being abused, unduly influenced or defrauded in some way, it is important to utilize the services of Adult Protective Service and, in some instances, consult with an attorney to verify the rights and remedies afforded to the victim under civil law. Indeed, there may be certain immediate action to be taken such as temporary restraining orders, removing clouds on title to real property, or freezing, flagging or closing accounts. A well-drafted estate plan can aide an elderly person and the people around them to resist elder abuse or at least direct financial institutions as to the authorized person allowed to act on the elderly person’s behalf. Having trusted and qualified primary care physicians and specialists will also help when the time comes to determine whether a person can no longer make financial or personal decisions. Disclaimer: This article is not intended to constitute legal advice, or create an attorney-client relationship. Please consult with a licensed attorney if you suspect that yourself or someone you know is a victim of elder abuse. Care4You is proud to have Zubiate Beauchamp LLP as our Community Partner. We are so thankful to you for everything you are doing to assist those who come to you in trust, for your help! 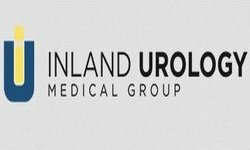 Care4You is very honored to have Inland Urology Medical Group as our Community Partner! Thank you so much for your goals that center on providing the best care for your patients!! “For over 40 years we have provided the Inland area with caring, patient centered care. We pride ourselves on continuing to provide this compassionate care with the most advanced technology. We strive to treat our patients as family and look forward to partnering with you in your healthcare. 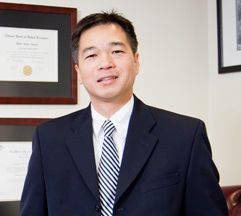 Inland Urology is the oldest practice in the area and has been serving patients for over 40 years. We have built a strong reputation in the community for our balanced approach to medicine. We always strive to treat our patients like family. Although we are the oldest practice we provide the most up to date care in the area including significant experience with minimally invasive and robotic surgery. Whether your needs are routine or complex, our goal is to provide you with the best possible care in a patient centered environment close to home. “Everyone needs water to survive. Water delivers nutrients and oxygen to cells throughout our bodies. It protects and moistens organs and tissue, and carries wastes out of the body. Water also controls body temperature by making sweat to cool you down when you become hot. Our bodies lose fluids every day through urination, perspiration, and even when we breathe. These fluids need to be replaced. While every person’s body is different, most adults should drink about 8 glasses (1 glass = 8 ounces) of fluids every day, and most children over age four should drink about 6-10 glasses every day. The same things that commonly cause dehydration – diarrhea, vomiting, and increased sweating or urination – also cause your body to lose electrolytes. Electrolytes are salts and minerals (including sodium, potassium and chloride) that dissolve in your blood. A proper balance of electrolytes is necessary for cells, organs and the nervous system to function properly. Losing electrolytes during dehydration can cause your blood pressure to drop, and make you feel dizzy or lightheaded. How can I tell if someone is dehydrated? Unfortunately, thirst isn’t always the best gauge of the body’s need for water, especially in children or older adults. The color of a person’s urine may be a better indicator. Clear or light-colored urine usually means that a person is well-hydrated, whereas a dark yellow or amber color signals they are not drinking enough water. Lilacs & Greensleeves: Blood Drive Thank you! FROM ALL OF US, FOR YOUR HELP AND SUPPORT….THANK YOU! Did you know that donating blood can be beneficial to the receiver and the giver? 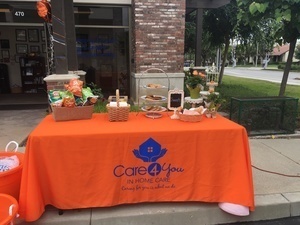 Come join us at Care4You in San Dimas, along with the Silverado Memory Care Community as we partner with the City of Hope in giving the gift so many people need..